The Bulls visit the Barclays Center to meet up with the Brooklyn Nets for the first time this season. Tonight is the middle game of a three-game road trip for Chicago. This past Saturday they lost at Minnesota, 122-104. 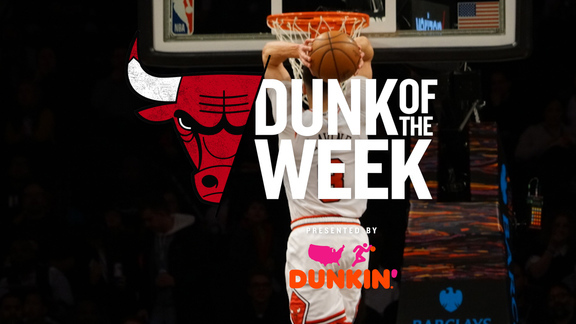 Zach LaVine finished with a team-high 21 points, seven assists, six rebounds, one steal and one block in 31 minutes. It was Chicago's third loss in a row, and 12th in their last 15. Brooklyn also hits the hardwood attempting to snap an eight-game losing streak after falling to Charlotte late last week, 111-96. Recent pick-up Dante Cunningham (via trade with New Orleans) led the Nets that night with 22 points (including four 3s), 12 rebounds and four assists. Something Brooklyn is looking forward to this evening is the expected return of Rondae Hollis-Jefferson (14.3 points & 6.5 rebounds) and back-up point guard Caris LeVert (11.6 points & 4.0 assists). The Nets literally hit the skids as soon as Hollis-Jefferson went down with a right groin injury in late January, going 1-10 in his absence. Seven of those 10 losses were by double-digits, with their defense giving up an average of 111.5 points. It remains to be seen just how much either Hollis-Jefferson or LeVert will play this evening. Nonetheless they will certainly be glad to get them back in action, particularly on defense. Brooklyn's new-look starting backcourt of D'Angelo Russell and Spencer Dinwiddie will also be making their home début this evening. They teamed together against Charlotte last Thursday with Russell notching 19 points and Dinwiddie adding another 12 to go along with nine assists. The Bulls are also breaking in a new lineup. In Chicago's last two games they have replaced veteran center Robin Lopez with 6'9" third-year big man Cristiano Felicio and moved second-year wing David Nwaba to small forward in place of veteran Justin Holiday in the starting lineup. So far Felicio hasn't made much of a mark, averaging just 8.0 points and 3.0 rebounds in 21.5 minutes. Nwaba, on the other hand, is putting up 17.5 points and 9.0 rebounds while shooting 15-of-23 (65.2%) from the field in 33 minutes of action. Offensively both the Bulls and Nets like to play fast and strike quickly. Both look to exploit their speed and athleticism and attempt get into transition as often as possible to post easy scores. However, whenever either team is forced to set-up in the half-court, it's vital they freely share the ball, making it jump from player-to-player, and from side-to-side in order to generate open looks at the basket. Both teams also need to eye opportunities to attack the basket. If the defense is slow to come out from under the basket or looks to trap or double-team, attackers need to quickly find an open teammate hovering out on the perimeter for an uncontested shot. Both the Bulls and Nets want to launch anywhere between 85 to 90 shots overall, with 30 or more coming from beyond the 3-point arc. Currently Chicago ranks 2nd in the league with an average of 88.8 field goal attempts per game, while Brooklyn isn't far behind (6th) with a mark of 86.9. From long distance the rankings are somewhat flipped, with the Nets sitting 2nd with 34.9 3-point attempts per while the Bulls are 7th at 30.8. Thus in order for either to achieve their goals, each has to stay committed to playing fast. Defensively the Bulls need to keep the lines of communication open and free flowing. Collectively they have to be quick when it comes to filling both the driving and passing lanes. They also need to keep close tabs on every Brooklyn sniper hovering around the arc, especially wings Allen Crabbe and Joe Harris. Crabbe reached 100 3s in just 41 games this season, setting a franchise record. Over his last five games the 6'6" gunner has averaged 22.4 points (46.7% FG, 42.9% 3FG) while also shooting 29-of-71 (40.8%) from distance. Harris has connected on 91 3s off the bench to lead Brooklyn's reserves. Over his last five games, Harris has averaged 13.4 points (51.0% FG, 44.0% 3FG) in 29.7 minutes. 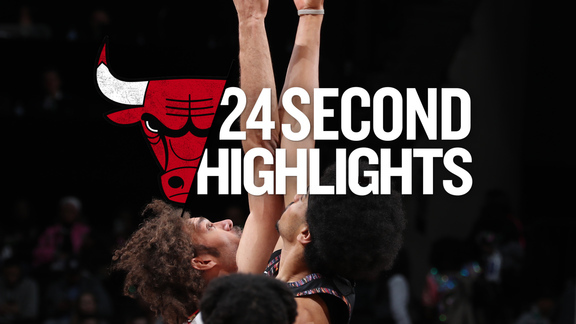 In short, Chicago has to come out of the gates fast and establish an aggressive pace. It's vital they keep everyone mentally and physically engaged at both ends of the floor. They have play with a hard-nosed attitude, and commit to outhustling the Nets for every rebound and loose ball. The Bulls are at their best when they consistently push the ball up the floor and attack the basket early before the defense is able to get set. When in a half-court setting they need to spread out by stationing shooters all along the 3-point arc so that the defense is forced to come out from under the basket. The ball has to jump from player-to-player, from one side of the floor to the other to force the defense to expend energy. To that end the Bulls also must doggedly take advantage of every opportunity to drive the ball deep into the paint. They have to crash the boards hard at both ends of the floor, and if they fail to corral a missed shot or scoop-up a loose ball, they can't afford to check-out or forget to get back defensively and allow Brooklyn to ramp up its attack.